SunTrekker is an 18 km relaxed hike/trail running race along some beautiful trails starting and finishing in Nam Shan, Lantau, complete with a bbq picnic finish and a selection of delicious New Zealand craft beers and cider from MOA. Finishers will receive a finish time although these will not be published post-event. Runner numbers will be written on your arm, triathlon style. Moderate. A perfect trail if you are new to trail events and want to try one in less competitive environment. 945am unless stated otherwise. If coming by ferry, you should catch the 8:00am ferry from pier 6. Access to the start and finish is simple and is located on the trail head for the Lantau Trail at Nam Shan (opposite side of the road of CP2 of MoonTrekker). The price is inclusive of the bbq and beer provided at the end of the race. Transport is not included. $50 HKD from every package will go to The Nature Conservancy. This is not our official event; any enquiries please directly contact Barclays MoonTrekker via registration@moontrekker.com. As MOA Beer is the proud sponsor of the Flying Kiwi's Dragon Boat Club, we have been able to get them to host a training session for a very limited number of our MOA Adventure Club members. Dragon Boat racing was started in Hong Kong in 1976 and has been become a huge international sport since with festival taking place every year. You can not leave in Hong Kong and not experience Dragon Boating at least once! As we have limited numbers we will contact you with the meet up point and other details directly once you confirm your attendance. Sign up fast to afford misisng out. We are throwing a street party at Motu Kiwi to launch MOA Adventure Club. Come and along and bring plenty of friends as its going to be a fun night. Sign-up is a $200 charity donation which will go to The Nature Conservancy to fund local environmental projects.  You will also receive a MOA Adventure Club t-shirt and coldie holder. If you don't join the club on the night we will have $30 cans of MOA beer and Cider! !